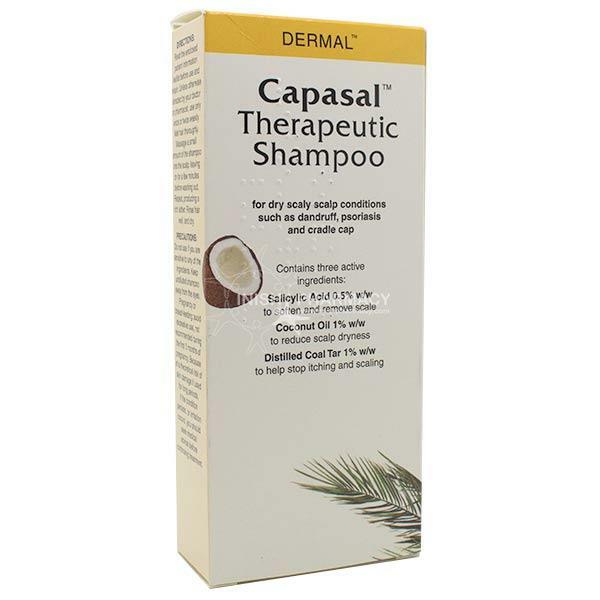 Capasal Therapeutic Shampoo contains coal tar, salicylic acid and coconut oil and is used to effectively treat dry scalp conditions such as dandruff, scalp psoriasis, seborrhoeic eczema and cradle cap. you can also use Capasal if you need to remove a previous scalp application product from the hair and scalp. Who Can Use Capasal Therapeutic Shampoo? How Should I Use Capasal Shampoo? Can I Use Capasal Therapeutic Shampoo When Pregnant or Brestfeeding? Coal tar preparations have bene used for many years without any ill effects on the baby. However it it is recommended to only use coal tar preparations intermittently, on a small area of skin only and to avoid in the first trimester.